Shara Worden is a remarkable singer. The leader of My Brightest Diamond, who play tonight at Lincoln Hall, she earned a bachelor's degree in opera at the University of North Texas. That kind of classical technique hardly guarantees that someone will know what to do with such a voice in rock music, though—in fact, it's usually a drawback. 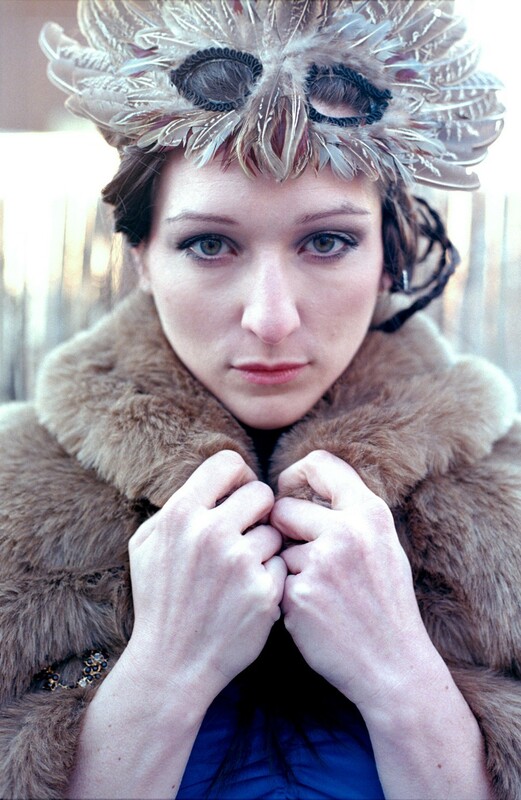 But Worden, who first attracted notice as a backup singer for Sufjan Stevens, is an exception. The two records she's made as My Brightest Diamond—Bring Me the Workhorse (2006) and A Thousand Shark's Teeth (2008), both released by Stevens's Asthmatic Kitty label—are among my favorite pop-rock recordings of the past decade. Last week in New York, Worden presented a few modified versions of her band in a one-off concert at the prestigious Allen Room at Lincoln Center, adding even more baroque detail to her already heady arrangements. According to a review by Jon Pareles of the New York Times, she drew out more of her operatic training than usual. Late last year Worden lent her exquisite voice to Penelope (New Amsterdam), a stunning song cycle composed by Sarah Kirkland Snider with lyrics by playwright Ellen McLaughlin. Impressive New York chamber ensemble Signal, which also understands how to bridge contemporary classical and pop, performed the music. Penelope isn't really a pop-rock effort, though there are plenty of rock rhythms and hooky melodies—Snider's art songs deal in motific development rather than verse-chorus-verse structures. Worden's singing is hardly bombastic or operatic but rather carefully pitched to the concision of the material—she doesn't sound terribly different here than she does in My Brightest Diamond.